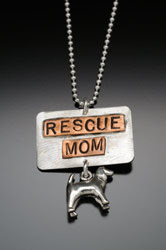 In another installment of local pet artists, we saw this whimsical line of pet-themed jewelry at an Atlanta art fair. 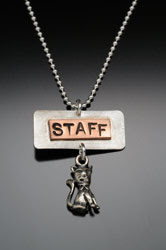 The artist, Ann Finley, was inspired to create Barking Cat Jewelry by her rescue pup Bruno and two cats, Jack and Squeaker. 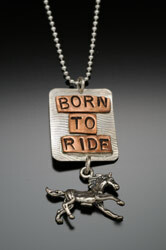 The line includes fashions for dog, cat and horse lovers in pendant, earring and keychain designs. 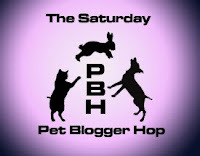 More about Ann and her jewelry here. Now let's go to the Saturday Pet Blogger Hop.